You can visit us in store in Bardon, Brisbane. 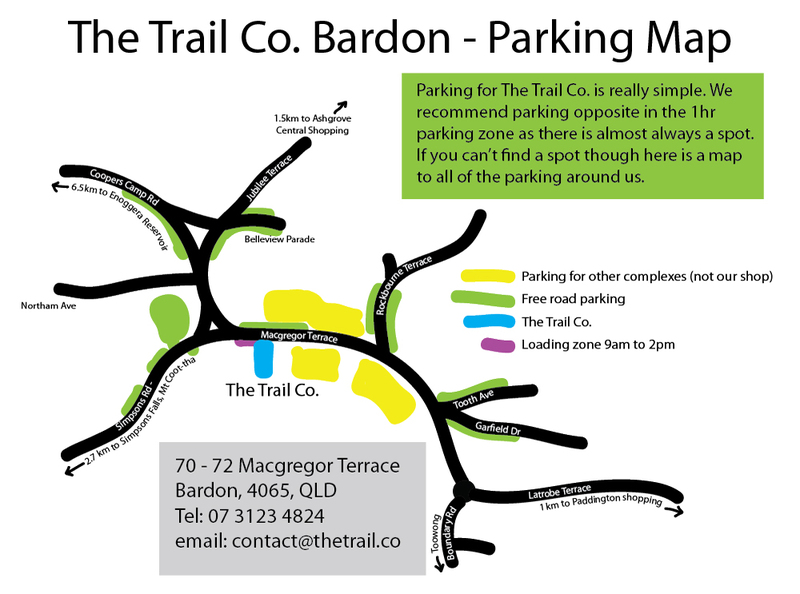 Parking is really simple for The Trail Co. We recommend parking on Macgregor Terrace, opposite our store where there is one hour parking during the week and on Saturday and unlimited parking on Sunday. For a more parking suggestions, check out the green sections below.